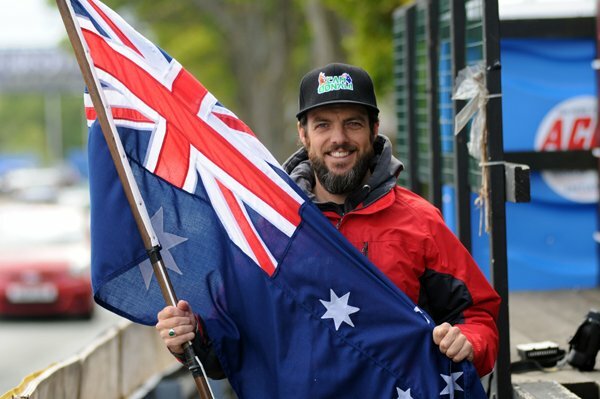 Australian TT hero, Cameron Donald will line up in the colours of the Valvoline Racing by Padgetts Motorcycles team at the 2015 Isle of Man TT Races, fuelled by Monster Energy, contesting the two Monster Energy Supersport Races. With John McGuinness unable to continue his association with the Batley-based squad, team principal Clive Padgett has moved quickly to fill the void and securing the services of Donald alongside regular team member Bruce Anstey ensures they'll again be a strong contender for race wins in the two four-lap races. Joining the Valvoline Racing by Padgetts Motorcycles team also means Donald and Anstey will be reunited as team-mates having spent three years together at the TAS Suzuki team between 2008 and 2010. A double race winner at the 2008 TT, Donald sat out the Supersport Races in 2014 but returns to the middleweight class where he will line up as one of the race favourites. His pedigree on the 600cc CBR Honda RR is impressive with a pair of runner-up spots in 2012, the first seeing one of the closest races in TT history as Anstey pipped him to the chequered flag by just 0.77s. The performances in 2012 earned the now 37-year old the TT Supporters Club Trophy, awarded to the aggregate winner over the two races, and although he was unable to get onto the podium in 2013, he did post his personal best lap on a 600cc machine at 127.217mph, which makes him the fourth fastest 600cc rider of all time. "Padgetts Motorcycles are one of the most successful race teams the TT has ever seen so when Clive (Padgett) rang me and asked if I would be part of the team for the 2015 TT it didn't take me long to say yes. The team obviously build great bikes and I have a lot of experience of my own with the CBR600 RR Honda, so together I think we should be right on the pace and come the races. I enjoyed being team mates with Bruce in the past and I am sure we will push each other on again as team mates in 2015." "Replacing one of the TT's greatest ever riders in John McGuinness is something that any team would find a challenge, but for the Supersport class there was one obvious candidate and that was Cameron Donald. I have been a long time admirer of Cameron as a rider and a person and his record speaks for itself. He's the fourth fastest rider ever on a Supersport bike around the TT Course and we are confident that we can give him a motorcycle that is capable of winning races in 2015."